As the spring sports season headed down the home stretch, the success of many teams, carrying over from an exceptional winter season, was clear. Girls tennis and softball secured tournament bids early, while boys lacrosse, boys tennis, and baseball were still in the mix, pushing for a tournament berth, entering the final days of the regular season. 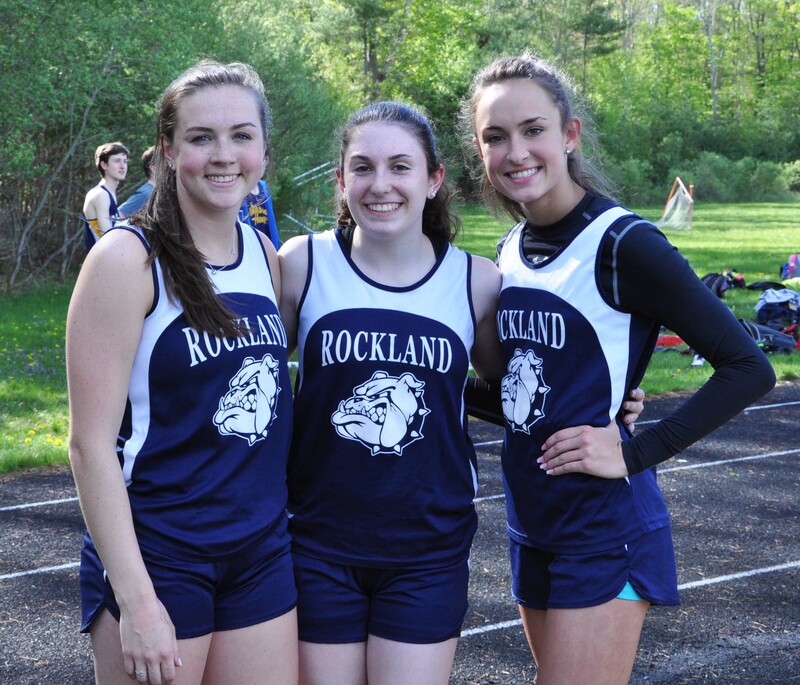 The track teams also had several South Shore League All-Stars and athletes qualifying for states. 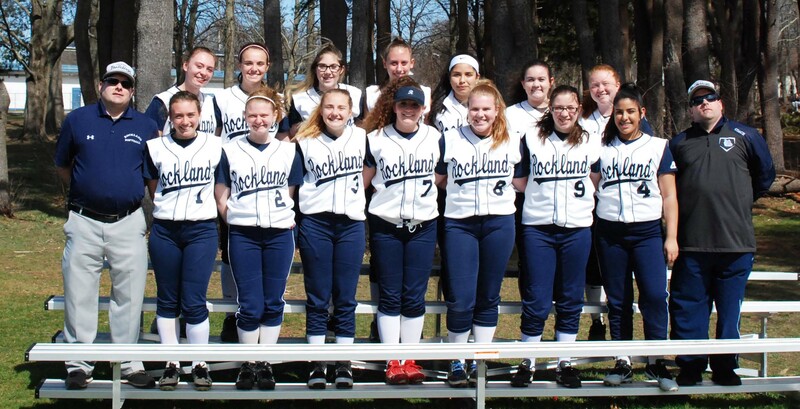 It is rare for the amount of success Rockland has had in one season, but as the spring season has unfolded, the athletic success occuring this school year in every season is unheard of. In many schools spring sports can be overlooked, however this year, every team thrived in their own way. 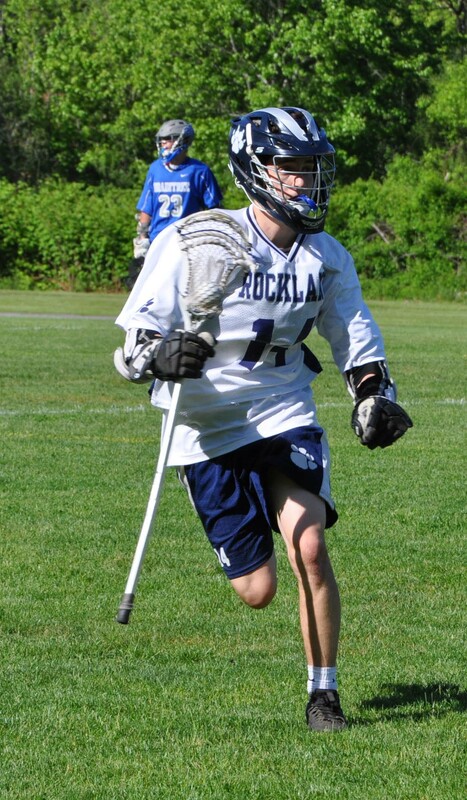 Boys lacrosse regained their foothold in the SSL being ranked fourth behind teams like EB, Cohasset, and Hull. The team got off to a shaky start when they lost three games in a row, but since then, the team has been playing well. The team got a big win on Tuesday, May 22 over EB 15-14. Senior Matty O’Brien who is going to Bentley to play lacrosse got his 300th career point in the game. The team’s tournament hopes came down to the wire. On the final Wednesday of the regular season, they faced Archbishop Williams, needing a win. And that’s what they got, pulling out a nail-biter 15-13, and qualifying for the postseason! Girls lacrosse wound up their season this week. 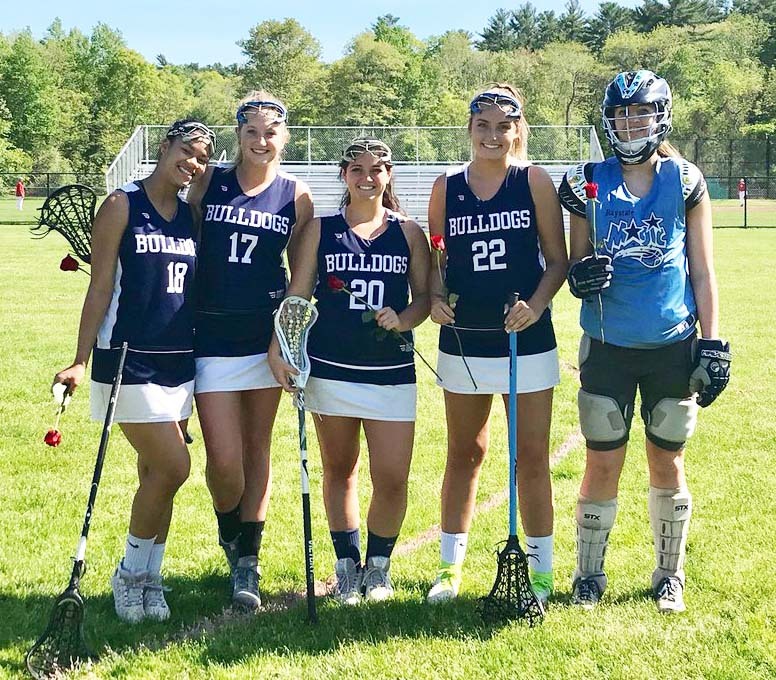 While they did not make it to postseason, the season had its positives with junior Madison Blonde potting her 100th goal of her career against Cohasset High. One can only imagine what she will get up to with another season ahead of her. Senior captain Natalie Draicchio continued to be a steadying influence on the team with multiple game assists and goals. She scored her 100th goal on the last game of her career against Archbishop Williams. Congrats Nat! The team honored their seniors: Cassie Ofurum, Jaymie Atkins, Natalie Draicchio, Tahmya Cappra, Hannah Boben, Erika Ochenduszko and Emily McLaughlin on senior day. 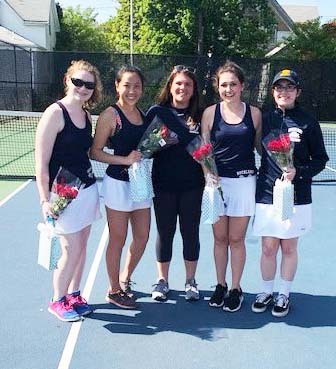 A shining star throughout the entire spring season has been the girls tennis team. The team was able to qualify for the state tournament in just their tenth game of the season. The Dogs finished the regular season with a, 13-4 record, looking to make a run in their first postseason in program history. In her first season, Coach Launie has done an exceptional job. Senior Captain Isabelle Uong thinks this season can be credited to her coach and the team’s culture. “It is an incredibly welcoming atmosphere and Coach Launie does a great job at fueling that,” said Uong. Ms. Launie, in turn, credits her team and their ability to learn new strategies and improve with each match. A key to the girl’s season that has been noted is the guest appearances of former coach Richard MacAllister. Mr. MacAllister’s cameos have fueled members of the team to be better. The girls tennis team has a great dynamic and something special has certainly come together. Softball has really been playing at a high level all year and they have put together an impressive 10-9 record over the span of the season. They qualified for tournament with a big win against EB in nine innings by a score of 9-8. Micheala Bruno, a freshman, is pitching well supported by senior Sydney McKenna, Molly Grass and Dakota Pike at the plate. Meghan Monet is doing well bunting and with her speed on the bases. Lady Dogs beat W-H 13-1 in their last regular season game. Michaela Bruno pitched a great game, allowing just 4 hits and 1 run with 1 BB and 5 K’s. Senior Sydney McKenna went 3-5 with 4 RBI’s and 2 runs scored. Macy Grass also had a solid game going 3-5 for the day. The team looks to get a good seed in the tournament. “Once you’re in anything can happen,” said Asst. Coach Chris Burnieika. The boys’ tennis team has also had a successful season, enjoying every step along the way. It was important for the team to stay competitive while also making Coach Jim Patton’s last season a fun and memorable one. 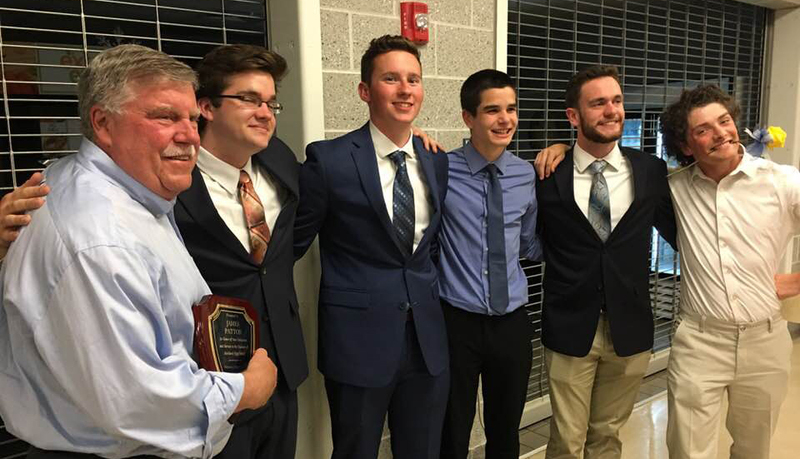 Members of the team’s care for their coach was demonstrated at the National Honor Society Induction Ceremony on May 16 as tennis teammates, Sean Sugrue and Joe Naughton shared an incredible message introducing their Honorary Inductee, Coach Patton. The coach embraced his players on stage and Naughton and Sugrue were proud to honor their coach in such a way. On the court the Dogs have remained competitive in a challenging South Shore League with a record hovering near .500. Needing one more win to qualify for postseason, their hopes were dashed by Middleboro as the boys lost 4-1. But senior Captain Harry Hunter is grateful for his last tennis season and the dynamic of the team. 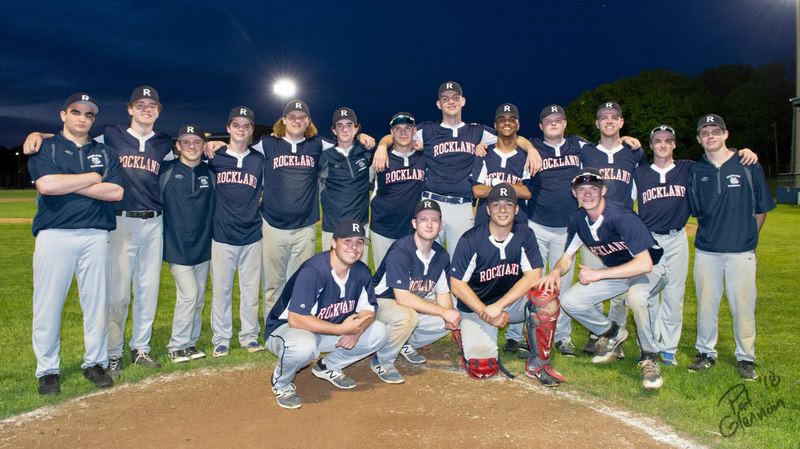 Away from the courts, and onto the diamond, Dogs’ baseball has had success this season. Although the Dogs lost a few tough games early, they have had some remarkable games, including a blowout victory over Division 4 powerhouse Mashpee and a nail-biting 4-3 win over Abington. Senior Jon Ronan was pleased with the team and hoping to make tournament. “This season has been a lot of fun and we have a great group of guys. Hopefully we can qualify for the [tournament] and keep this season going,” said Ronan. With a record of 9-10 with one game remaining, the Dogs needed to win one. Although that was a challenging task, the team had already shown that they were capable of playing at a high enough level to get the job done. 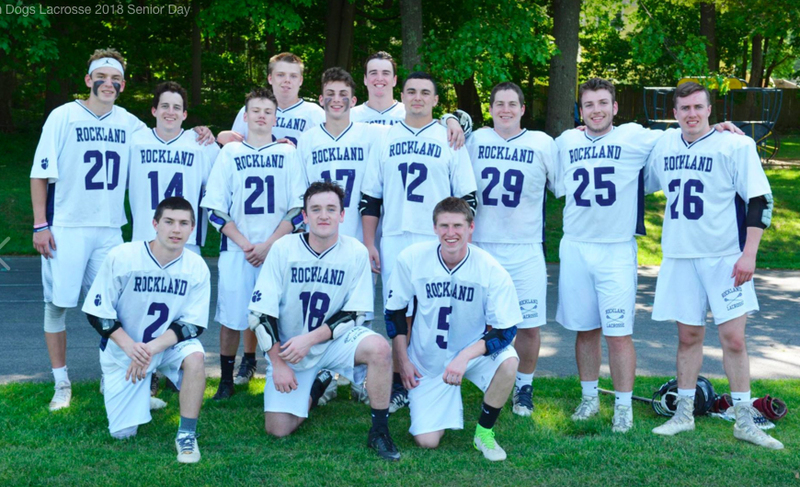 On May 20 they defeated Duxbury on the road 5-3. The next day they defeated Middleboro behind pitcher Sam Gray. Gray, who was working on three days’ rest, went the distance and delivered a clutch two-run double in the bottom of the sixth to lead the Bulldogs to a hard-fought 6-4 victory. On May they came up with a big win against Norwell, 8-1, behind senior Aiden Glennon’s complete game on the mound and two for three at bat. 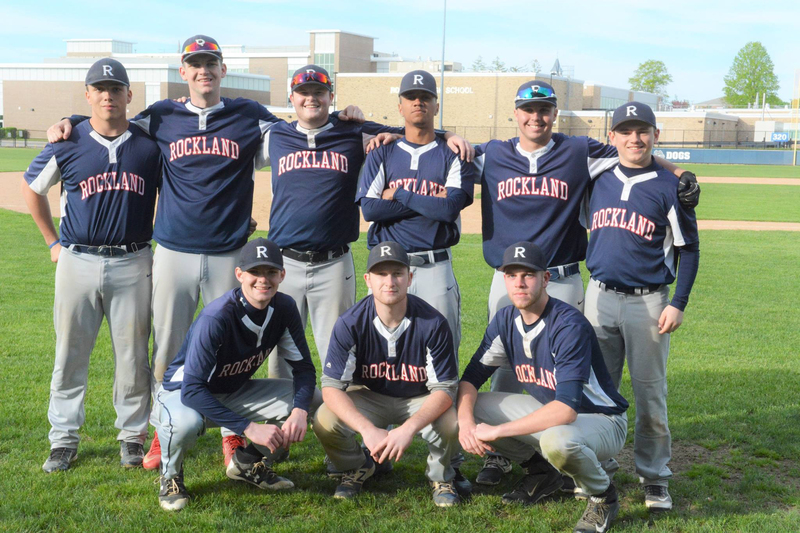 That win improved Rockland’s record 9-10 and kept the Bulldogs’ playoff hopes alive. The team finally faced Pembroke on Tuesday, May 29. Sam Gray once again came up with a gem and the Dogs made it to postseason with a huge 7-1! Athletic Director Gary Graziano called it “pretty impressive after a 1-6 start,” and congratulated new head coach, Mike Doyle and the boys for their accomplishment. The boys track season has ended with the team coming away with a record of 2-5. According to senior Seth Rosczewski most meets were close and the team always competed hard. Qualifying for states for the boys were Andre Coste in the 100m and 200m and Dylan Cleaves in the javelin and discus. Rosczewski, a senior captain, was one of two seniors on the team, the other being Connor Cleaves. Rosczewski says he was glad he ran track this year. 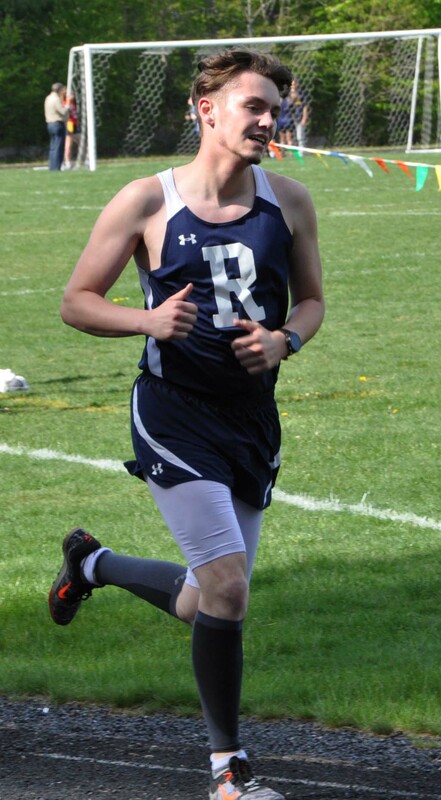 “I like the atmosphere in track, and also knowing that I’m halfway decent in something.” An all-star in cross country, Rosczewski is a better than decent runner, and says he will continue to run in college next year. For the girls’ track team, they finished the season at 3-4. Arianna Roosa and Lily Matson stood out, being named SSL all-stars. Spring teams all paired competitiveness and having fun, and they achieved great success in the process. With the state tournaments just a week away, those teams that have or will qualify are looking to have a successful end to their seasons. Classes and finals are over for the seniors, but before they can graduate the Class of 2018 had one last obligation: saying goodbye to their former Rockland Public Schools. For the third year, RHS seniors walked the halls of their former schools to wave goodbye to the future students of RHS and to some of their former teachers. At 9 a.m. on Wednesday, May 30 they boarded three busses and visited the R. Stewart Esten Elementary School, the Jefferson Elementary School, and Memorial Park Elementary. They finished up their walk through the Rogers Middle School. With the Class of 2018 graduation right around the corner, Student Government Council held its final meeting of the 2017-2018 year last Wednesday May 9 in the RMS/RHS Lecture Hall. Before the meeting, members brought in baked goods and snacks to munch on while socializing and reminiscing about the year the club had. Once everyone finished up, members met family and friends in the Lecture Hall to watch a video summing up the events and meetings from the past year. After that, awards were given out (listed below) to those who showed excellent participation and truly stood out in the eyes of the advisers, Joanne White and Jill Delaney along with SGC leaders, Big 5. Once awards ended speeches were given by the SGC Executive Board. The E-Board includes the class presidents, class head representatives, SGC historian, SEMASC representative, committee chairs, and Big 5. At the close of the evening, 2017-2018 President, senior Hannah Murphy passed on her presidential duties to junior Caitlin Cameron who was elected at the previous meeting. Through the passing of the gavel, SGC initiated the beginning of the 2018-2019 SGC year. Senior Court: Meredith Long, Mia Celestino, Sydney McKenna, Kevin Fennell, Izzy Uong, Brianna Peppino, and Natalie Dracchio. Tuxedos and gowns, corsages and boutonnieres, this could only mean one thing: RHS Prom. With the end of the 2017-2018 school in sight, RHS held its third annual Junior/Senior Prom . This year, the prom was held on Friday, May 11 at the Venezia, in Dorchester. DJ Drew Panico was in charge of the music. For food options, students and chaperones were able to pick and choose what they wanted from a variety of food stations including a taco station, pizza station, and a finger food station. The event was conducted, and managed by the senior classes and their advisors. Each of the classes contributed to the payment and planning of the event. The junior class was led by the junior class advisor and RHS English teacher, Kristen Walsh. Along with Walsh, the Class of 2019 officers include: President, John Ellard, Vice President, Jasmin Morse, Treasurer Justin Sherlock, and Secretary, Madison Blonde. With the seniors mainly in charge. RPS Science department head and senior class advisor, Samantha Hoyo worked alongside the graduating class officers including: President, Zach Peterson, Vice President, Jill Donahue, Treasurer, Macie Jones, and Secretary, Isabelle Uong. All in all, each of the classes and their leaders cooperated to make this year’s prom one to remember. Each class conducted many fundraisers, such as restaurant nights or selling goods. The class officers were also in charge of asking for chaperones, which included junior class advisor Kristen Walsh, senior class advisor, Samantha Hoyo, RHS Principal John Harrison, RHS Vice Principal, Kathy Paulding, Richard MacAllister, Kendra Donovan, Diane Mahoney, Joanne White, and Kathy Hoffman. At the end of the night, the 2018 Prom Court was announced with the Junior Prom King being, Justin Sherlock and Prom Queen as, Larissa DaSilva. The Junior class court included Kaitlyn Diver, Lexi Nastasia, Nicole Blonde, Caitlin Cameron, and Alyssa Antoniewicz. The Class of 2018’s Prom King was Kevin Fennell and the Prom Queen was Izzy Uong. Alongside, the senior court included: Brianna Peppino, Natalie Draicchio, Sydney McKenna, Merry Long, and Mia Celestino. With that, everyone involved was satisfied with the turnout with around 250 attendees, each having a ball at this year’s prom! Senior in the cast of the Wizard of Oz: From left: Jocelyn Reera, Erin Field, Stephanie Blaney, Ryan Mott, Maddie Parlee, Ryan Struzziery and Rebekah Panaro. Director, Michelle Booth, right, and Victoria McComb, asst. director of The Wizard of Oz. It’s the Wicked Witch of the West! The end of the year is in sight, and for the seniors in the Music Dept., so are their performances at RHS. Seniors Ryan Mott, Ryan Struzziery, Erin Field, Stephanie Blaney, Madison Parlee, Jocelyn Reera, Max Sheppard, Seth Rosczewski, and Rebekah Panaro took their final bow after Saturday’s matinee performance of The Wizard of Oz. The musical was performed Friday night and Saturday afternoon in the RMS/RHS auditorium starring the four seniors mentioned above as well as freshman, Emily Gabiorault as Dorothy. Mott played the Cowardly Lion, Struzziery was the Scarecrow, Panaro was the Tin Man, and Reera was part of the ensembles. Blaney was the head of choreography and Parlee was in charge of stage management. Sheppard coordinated audio and Rosczewski handled lighting in the booth. All in all, the musical had outstanding vocals, extravagant costumes, and spectacular acting that the cast, staff, and the large audiences will never forget. Part of the cast of the Wizard of OZ on Thursday evening. Don’t forget to see the Rockland High School Music Department’s production of the Wizard of Oz this weekend. Friday night the show goes on at 7 pm in the high school auditorium. On Saturday it’s a matinee at 2:30 pm. The musical features everything you remember about the story from the Cowardly Lion played by Ryan Mott to the Wicked Witch of the West played by Erin Field. Rounding out the major cast members are Ryan Struzziery as the Scarecrow, Rebekah Panaro as the Tin Man, and Emily Gaboriault as Dorothy. It’s a show suitable for all ages and tickets will be available at the door on Friday and Saturday for $7. Below are some scenes from Thursday night’s dress rehearsal.